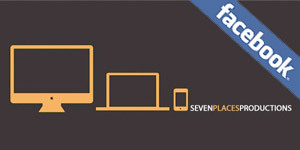 Seven Places Productions is a professional Web design and development company based in greater Kansas City that provides services of responsive web design and development turning your design into workable, search engine friendly, mobile-ready, semantic xHTML/CSS markup in a timely manner at an affordable price, custom design/development, custom blog integration and theme building and search engine optimization. We will design and develop a visual website that is modern, clean, easily updated, loads quickly, is standards-based and is easy to use. Our professional design will take your online presence into the future with an exciting new look, an enticing air of quality, and the effective edge of eye-catching relevant information. Our websites are custom designed from the start and are rich, clean, and beautiful. They coordinate your brand and are noted for immediately impacting target audiences visually, being creative, effective, loading quickly, being intuitive, easy to use and understand, flexible for growth and easy to maintain.